London has always been a massive contributor to the international fashion scene. From world-famous designers like Paul Smith, Stella McCartney, Vivienne Westwood and the late Alexander McQueen to the bevy of gorgeous faces like Kate Moss, Lily Cole and Agyness Deyn that grace the runways, London has produced some of the most memorable brands and icons. In fact, Net-a-Porter and ASOS, two of the most well known sites who’ve led the digitization of the online retail are both based in London. It seems natural then to look towards London’s fashion focused technology startups to get a glimpse of some of the upcoming innovations that are disrupting and evolving the industry. Newly launched in April 2012, Osmoda partners with emerging fashion brands by providing powerful e-commerce solutions to help designers quickly scale their businesses. While many of the world’s most exciting up-and-coming brands, such as Bora Aksu and Craig Lawrence, sell in boutiques in dozens of countries and have thousands of Google search requests every month, they have little to no e-commerce presence due to the online dominance of mega-brands. Osmoda offers designers a platform that features painless selling, inventory management, high-end photography, logistics, and payment processing, enabling them to focus on what they love best: creating beautiful collections. In addition, Osmoda stays on top of technological trends in e-commerce ensuring that brands are always able to deliver the best possible online experience for their customers. There are currently 4 designers on the platform, with more added each month. Osmoda was founded by McQuillan, Jonathan Fren and Alex Philip Gough, who were drawn to the commercial opportunity the fashion industry offered. “We are all people who are innately curious and fast learners,” said Gough, who formerly studied as a barrister. “Besides, the skills needed to structure and manage a distribution company flow naturally from law and finance. The ‘fashion’ side is a learning curve, but we’re both highly skilled at finding the right people to support us.” Osmoda counts designers, professional buyers and other industry experts on their advisory board. Lyst describes itself as a “social shopping site that helps you discover the best fashion for you.” Founded by Chris Morton, Sebasjan Trepca and Devin Hunt, the platform helps users keep track of when an item shown on the runway is available for purchase. Users can follow designers, specific items, brands, collections, runway shows, and even other users to generate a customized feed of items that appeal to them. The site was released in beta in May of 2011. Another big issue is discovery: the sheer volume of available stock is quite daunting, and understanding which item makes sense for a buyer can be complicated and overwhelming. Type in “blue sweater” in Google’s image search for example, and you’ll see hundreds of thousands of results. “People are influenced socially rather than rationally when it comes to behaviour so a true algorithm like Google is limited,” he explained. “Users can follow other people who have similar tastes and styles and can help discover pieces that you might be interested in. This ‘social filtering’ enables my community to help curate the content that’s available and only show me the most relavant pieces of information – that’s what Lyst is doing for fashion.” In November 2010, Lyst raised a £950,000 seed round from Ventrex, SPA, Accel and several New York and London Angels. Morton mentioned the importance of location when launching a startup, and why his team thought long and hard about the benefits about being based in New York instead of London. 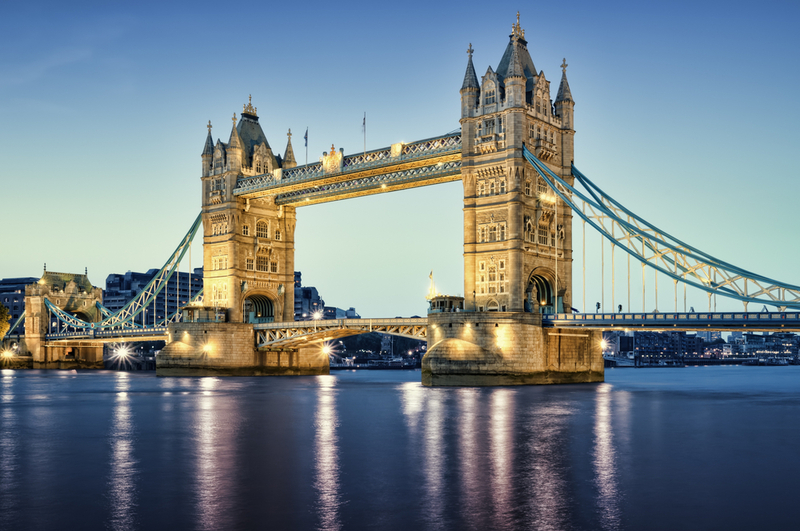 “London is the tech center of Europe for startups, there are a lot of VCs as well as other web startups in other verticals that create a very supportive ecosystem that has been very valuable for us,” he said. Lyst, which operates on a commission based business model has helped partners achieve millions of dollars in sales. The company reported growth of 800% in the past 4 months alone and a user base of “tens of thousands”. Stylistpick is a subscription based retail programme that delivers a personalized selection of curated accessories carefully selected to match each user’s style profile. Members fill out a survey to identify their style preferences, and then Stylistpick’s stylists and experts produce a curated list of items that match their tastes. Members can then select one item for £39.95, either choosing to pay-as-they-go or an annual subscription that provides access to VIP events, free next day shipping, trend reports and each 5th purchase is free. It’s a soft-subscription approach, meaning members are not compelled to purchase anything and can skip that month’s offering within a specific time-frame. Launched in November 2010, Founder and CEO Felix Leuschner saw subscription based curation as the natural addition to the private sale push model. In looking at other business models including Vente Privee and Gilt Groupe, he realized that the personalization of goods being sold would be “the next step in the evolution of e-commerce.” Leuschner says that customers have given very positive feedback to the subscription model as well. “Customers love the fixed price concept which makes it every easy for them to control their spend,” he said. “They love our beautiful packaging and the idea of a monthly treat.” He emphasizes the importance of the expert advice of his team of fashion stylists as the main draw for the site’s 600,000 members. In February of 2012, StylistPick raised an $11 million Series B round of funding which will be used to drive the business’ growth as well as expand into additional markets. Covetique is a secondary market for pre-owned luxury goods. All luxury item Sellers send their products to Covetique which holds them on consignment until they are sold. Holding the goods gives Covetique the advantage of being able to authenticate all luxury items, ensure the item is in good quality, provide consistent photography, make sure the prices are aligned with the market, and guarantee fast, reliable shipping within 24 hours. This delivers a more pleasant and stress-free transaction for both buyers and sellers. Buyers can rest easy knowing they are purchasing quality goods and sellers don’t have to trouble themselves with the logistics of managing the transaction. Covetique also has several social curation features including the ability for sellers to create profiles and for buyers to be able to follow specific items, brands or even a particular clothing size. This adds a community element to the consumer experience enabling them to discover, share and shop new items in a personal way. EDITD is privately held but growing quickly with a team of just over 20 people. In two years, the company has worked with clients across the UK and Europe, the Americas, South Africa and Australia. Also read: Behind the design: An interview with Not Just a Label. Read next: How has the digital fashion industry affected your business?